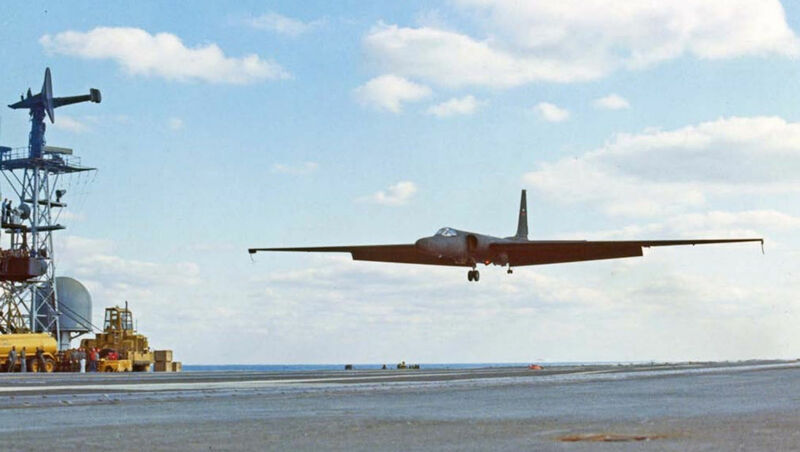 In 1968 the U-2R introduced a number of modifications to the sea-going Dragon Lady, including a longer wingspan, improved flaps and a more powerful Pratt & Whitney J75 engine. 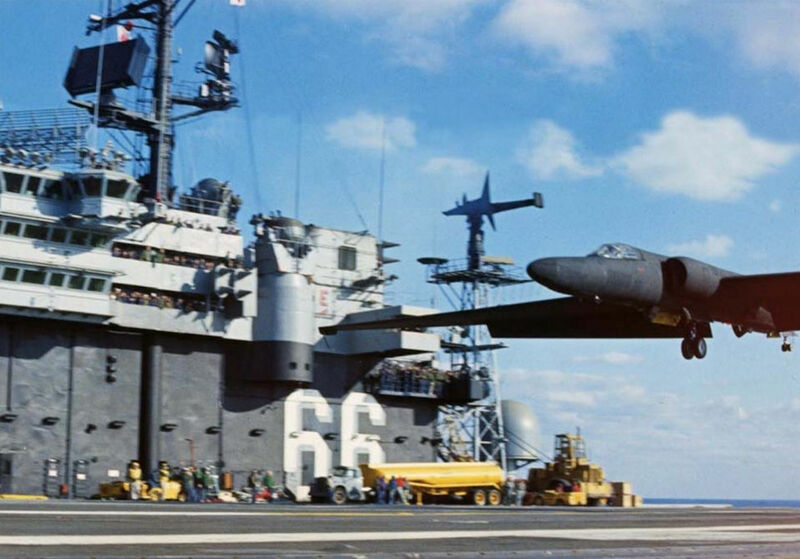 After mirror-landing trials with the new variant at North Base, it was tested aboard USS America off the coast of Virginia in November 1969, as seen here. 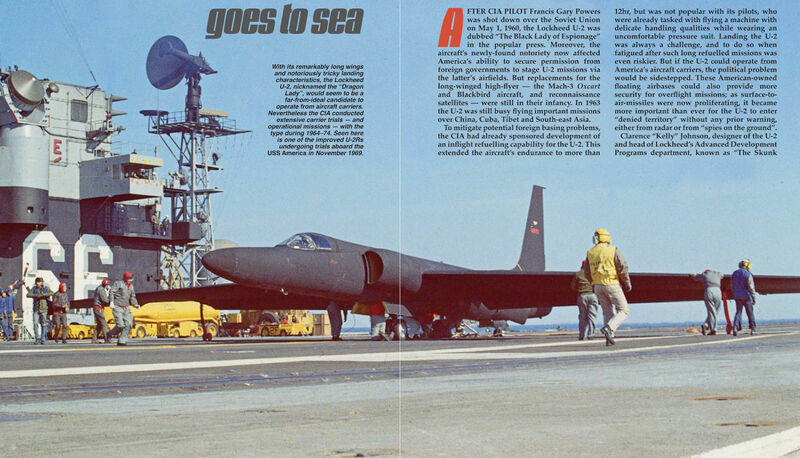 More colour photographs from the November 1969 U-2R carrier qualification trials. With its remarkably long wings and notoriously tricky landing characteristics, the Lockheed U-2, nicknamed the “Dragon Lady”, would seem to be a far-from-ideal candidate to operate from aircraft carriers. 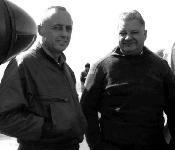 Nevertheless the CIA conducted extensive carrier trials - and operational missions - with the type during 1964-74. 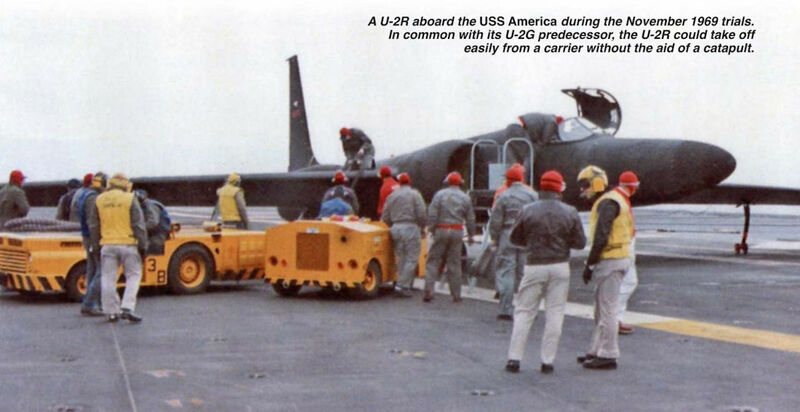 Seen here is one of the improved U-2Rs undergoing trials aboard the USS America in November 1969. More colour photographs from the November 1969 U-2R carrier qualification trials - note how the serial on the fin has been crudely censored in the lower image. Although the type had demonstrated its ability to operate from aircraft carriers with aplomb, resistance to its use at sea remained fierce among the US Navy brass. 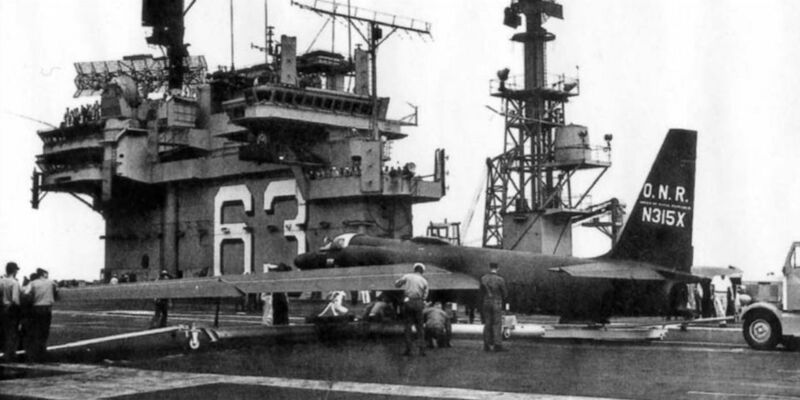 A U-2R aboard the USS America during the November 1969 trials. In common with its U-2G predecessor, the U-2R could take off easily from a carrier without the aid of a catapult. Trap! The U-2’s hook catches the wire. 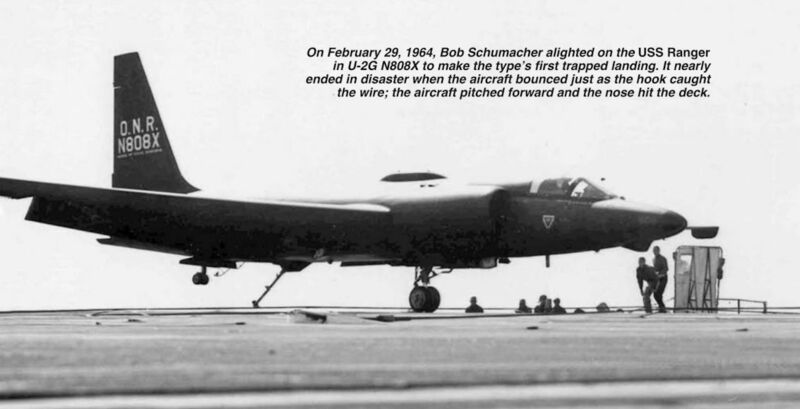 It was quickly determined that only a single arrester cable should be rigged for the U-2, to prevent damage to the aircraft’s small tailwheel assembly. The cable was of smaller diameter than those usually used. 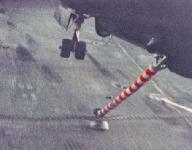 A close-up of the red candy-striped tailhook attached to one of the two U-2G models that were transferred from the CIA to NASA in 1971. 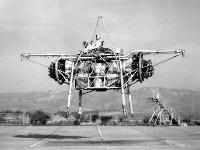 This example became NASA 708 and served until 1987, when it was retired and refurbished for display at NASA’s Ames Research Center at Moffett Field. In order to prevent the arrester cables fouling the tailwheel on landing, metal grids which would deflect the cables were fitted to the U-2’s tailwheel door. A rare photograph of U-2A N315X approaching the fantail of the Kitty Hawk. The O.N.R. marking on the fin signified the Office of Naval Research. Civil registrations in the N-X series were applied to all CIA U-2s in the 1960s when they were engaged on test, training or ferry missions, but were removed for operational overflights. On February 29, 1964, Bob Schumacher alighted on the USS Ranger in U-2G N808X to make the type’s first trapped landing. It nearly ended in disaster when the aircraft bounced just as the hook caught the wire; the aircraft pitched forward and the nose hit the deck. That’s better! 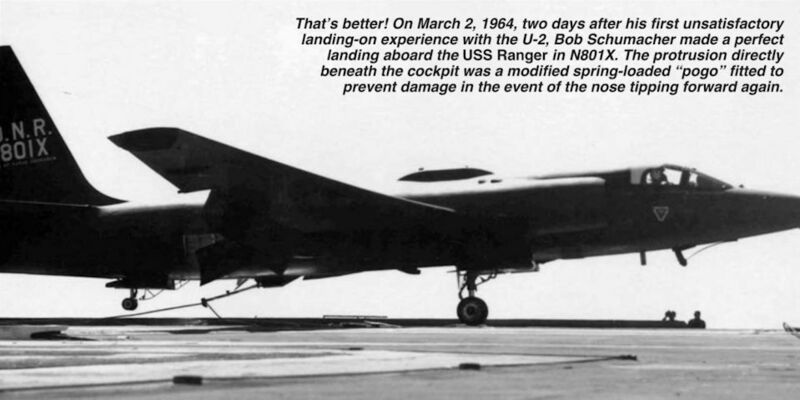 On March 2, 1964, two days after his first unsatisfactory landing-on experience with the U-2, Bob Schumacher made a perfect landing aboard the USS Ranger in N801X. 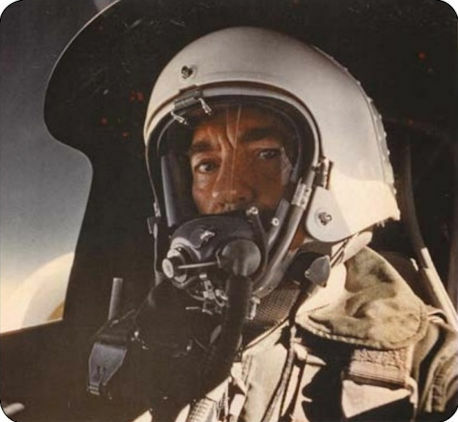 The protrusion directly beneath the cockpit was a modified spring-loaded “pogo” fitted to prevent damage in the event of the nose tipping forward again. 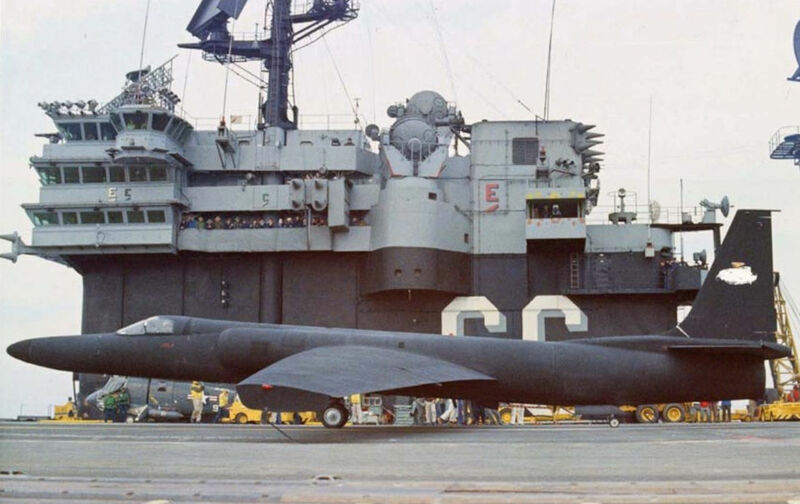 The first trials of a U-2 aboard an aircraft carrier were undertaken in August 1963, when an unmodified U-2A was lifted aboard the USS Kitty Hawk by crane at NAS North Island, San Diego. After the ship had left port, Schumacher took off and made four practice approaches before heading back to shore. Lockheed test pilot Bob Schumacher (left) and legendary Lockheed designer Clarence ‘‘Kelly’’ Johnson beside one of the U-2Gs on the deck of the USS Ranger during the type’s first landing trials in early 1964. Sqn Ldr Ivor “Chunky” Webster AFC at the controls of a U-2 during one of the many missions he flew in the aircraft following his transfer to NASA in 1971. 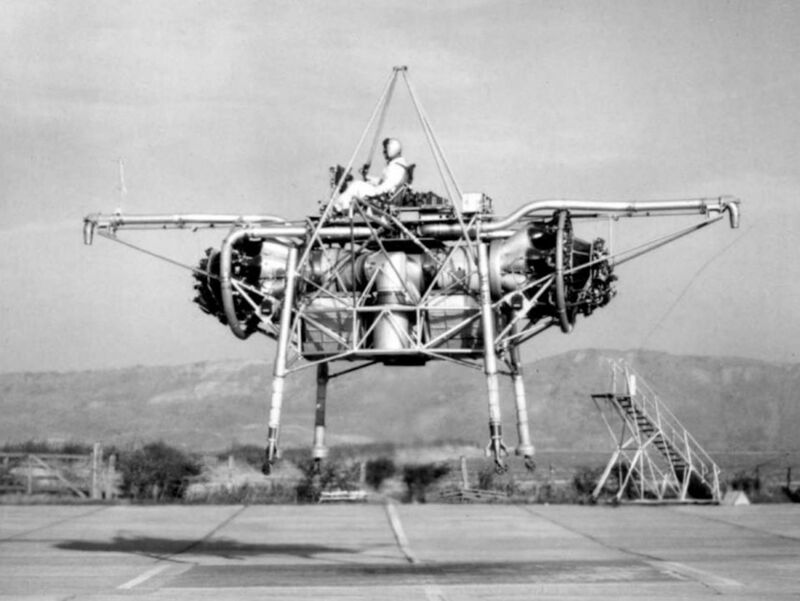 These missions included scientific research into atmospheric dynamics and oceanic processes. One of the British pilots assigned to Detachment G, Sqn Ldr Ivor Webster, had plenty of experience with unusual and awkward aircraft, including Rolls-Royce’s ‘‘Flying Bedstead”, which made its first hops in July 1953. A North American T-2A Buckeye is prepared for launch during a training exercise. 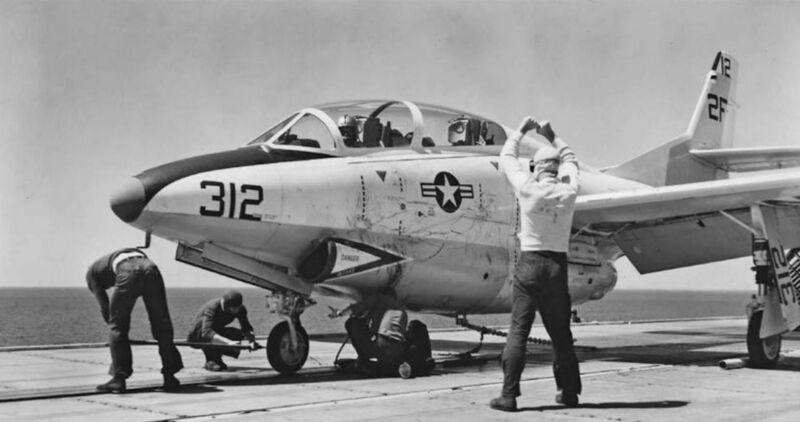 From November 1963 Detachment G’s pilots used T-2As - and later T-2Bs - for training in carrier landing techniques and to obtain their “carquals” - carrier qualifications. 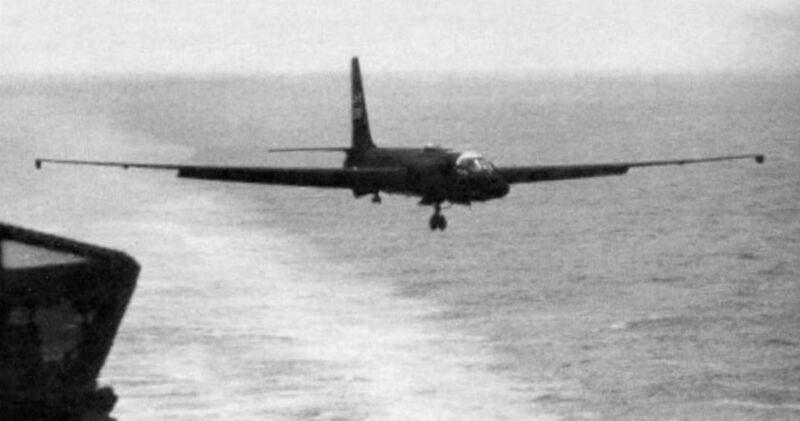 The U-2 would prove to be rather different when it came to deck landings.